We are proud to be serving Chicago and its surrounding communities with our excellent services. Whether you are looking to purchase your first or fifth Volkswagen from us we promise a great experience every time. We are here to help make the buying process simple and fast. Your time is important and we want you to have a quick and easy buying experience so you can get back to spending time with your family and friends. Volkswagen of Downtown Chicago also has a top of the line Service Center. The Service Center is here for all of your maintenance needs and will get you back on the road in no time. A complimentary Uber will be provided while your car is being serviced to make scheduling an appointment even more convenient. 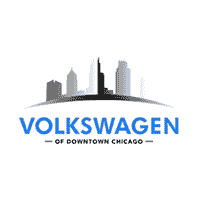 Stop into Volkswagen of Downtown Chicago today and see what new offers we have available.